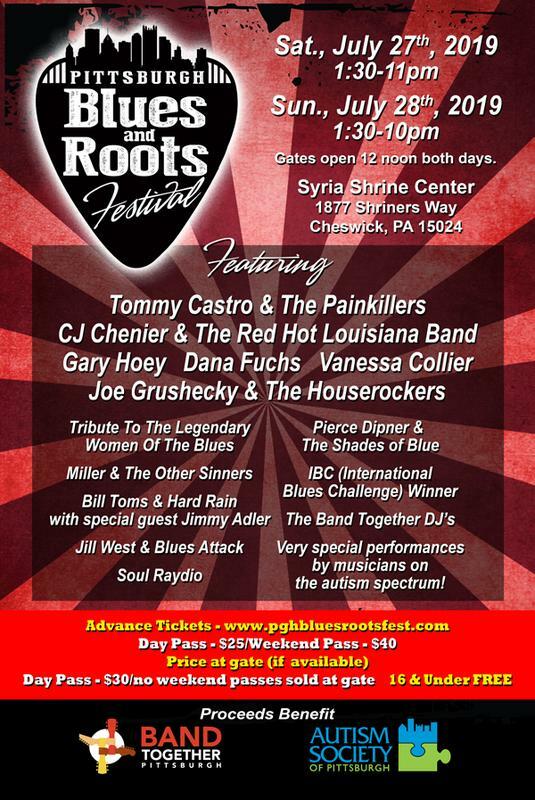 Announcing the Pittsburgh Blues and Roots Festival 2019 – July 27th & 28th to be held on at The Syria Mosque, site of last year's festival.The festival will continue to serve as a benefit for autism. 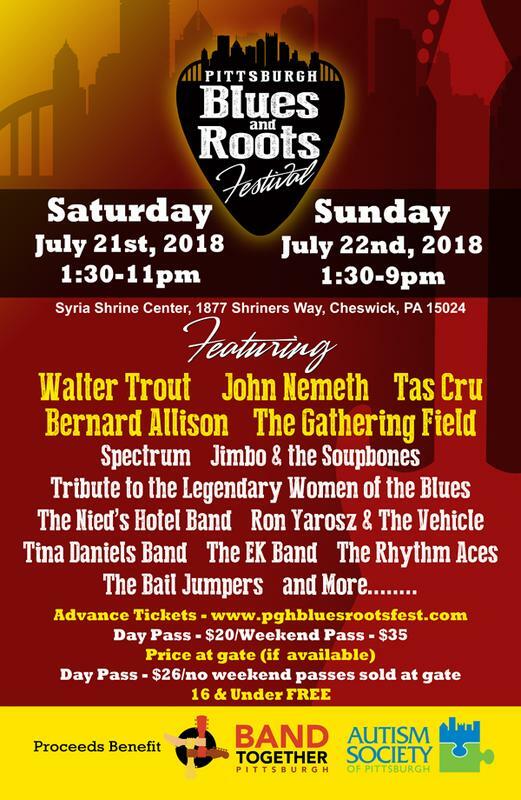 Pittsburgh Blues and Roots Festival Day Pass will be $26 at the gate. (if available) 16 & under get in free! No weekend passes sold at gate.